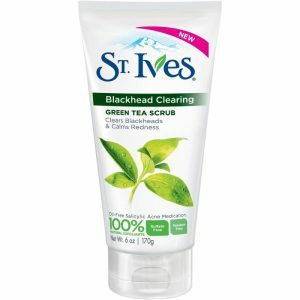 St. Ives® Green Tea Blackhead Clearing Scrub is marketed to unclog pores, clear black heads and helps calm red skin. The manufacturer claims that this product is a moderate scrub that uses green tea in its formula. You can purchase this St. Ives® scrub for less than $10 in retail stores. Squeeze a dime sized amount of scrub onto your fingertips and massage onto damp skin. Spread in small circular motions, applying gentle pressure to wake your skin’s natural circulation. Work all over, right up to your hairline and onto the sides of your nose. When you’re done, rinse and pat dry with a clean towel. 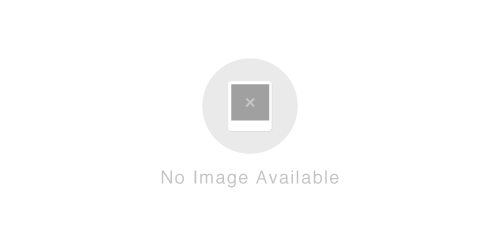 Salicylic Acid 2%, Water (Aqua), Juglans Regia (Walnut) Shell Powder, Glycol Stearate SE, Glycerin, Sodium Lauryl Sulfoacetate, Zea Mays (Corn) Kernel Meal, Cocamidopropyl Betaine, Cetearyl Alcohol, Triethanolamine, Cetyl Alcohol, Glyceryl Stearate, PEG-100 Stearate, Prunus Armeniaca (Apricot) Fruit Extract, Cetyl Acetate, Ceteareth-20, Carbomer, Polysorbate 60, Acetylated Lanolin Alcohol, Fragrance (Parfum), PPG-2 Methyl Ether, Phenethyl Alcohol, Methylisothiazolinone, Titanium Dioxide (CI 77891). St. Ives® Green Tea Blackhead Clearing Scrub is promoted to improve the look of blemishes and it is made in the United States. To achieve best results, use as directed. This scrub is sold in a six ounce size and helps calm red skin.